My friend came in to see me the other day and she wanted to do the ombre hair color. For those of you who don't know what that is, it's when you have dark on top and fades into light. 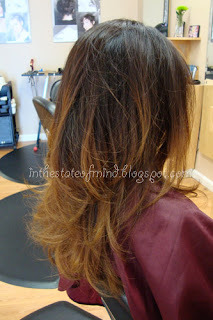 Kind of like grown out highlights/color. 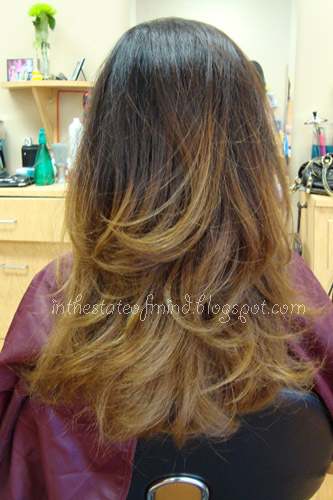 She already had a warm medium dark brown so I picked a warm light brown to go with it. It looks so much better in person. My camera doesn't show the true colors :( I need a new camera!